Elementary Matters: Have You Heard About Boom Digital Task Cards? 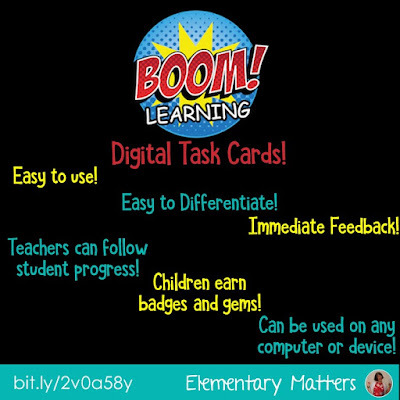 Have You Heard About Boom Digital Task Cards? 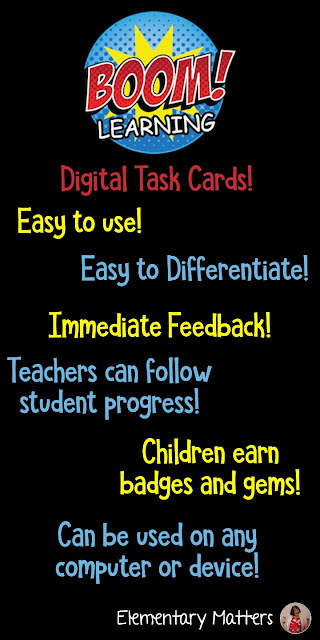 If you haven't tried Boom Learning Digital Task Cards, you need to get on this, they are amazing! Here's a quick video with an overview on what these cards are all about. Here's another quick video, explaining a little more. What do I like most about Boom Digital Task Cards? 1. The kids LOVE them! 2. They are very easy for teachers to assign and differentiate, and check in on how the children are performing. 4. That means they can use them at home! They can practice their task cards on mom's phone while waiting for sister to finish her gymnastics class or brother to finish his soccer game! 5. Children get immediate feedback, which is so important for learning! If they work hard, they earn badges and gems! 6. No printing, cutting, or laminating! 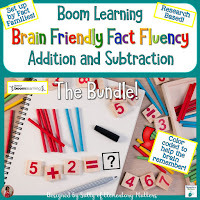 I've been having so much fun making these, I've made a whole addition and subtraction bundle for all 8 brain based levels, plus 2 extra reviews. But that's not all! 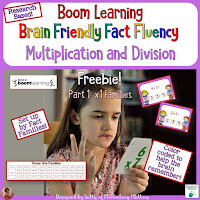 I've added ALL TEN BOOM Task Cards to the collection of Brain Friendly Addition and Subtraction Fact Practice and Assessment. Plus, you know what? I've made similar sets for Multiplication and Division! I have loads of BOOM cards in lots of subject areas. You can find them HERE.